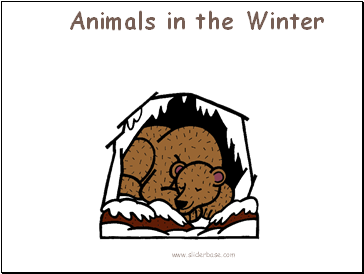 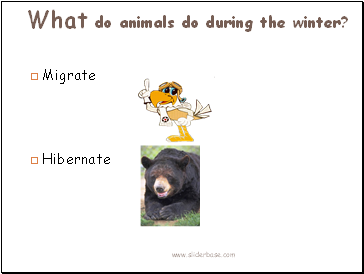 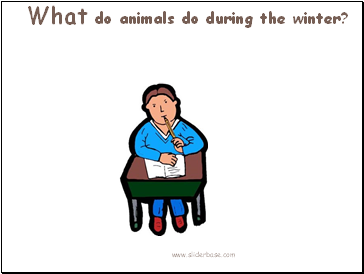 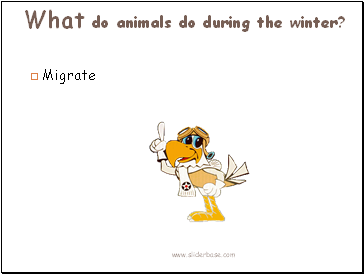 What do animals do during the winter? 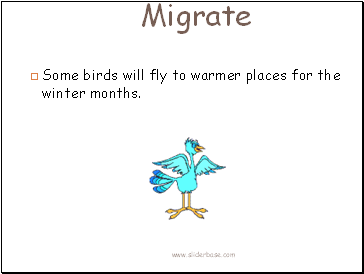 Some birds will fly to warmer places for the winter months. 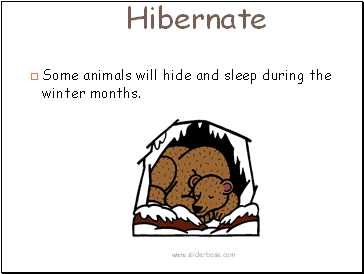 Some animals will hide and sleep during the winter months. 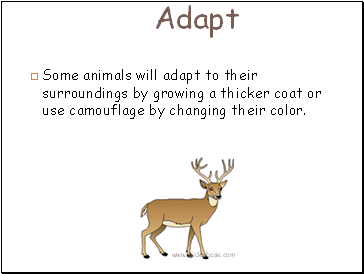 Some animals will adapt to their surroundings by growing a thicker coat or use camouflage by changing their color. 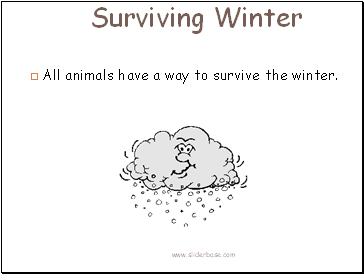 All animals have a way to survive the winter. 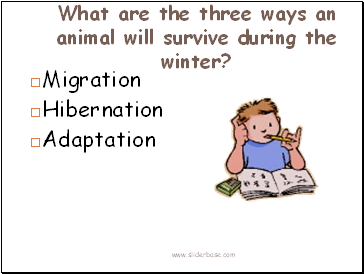 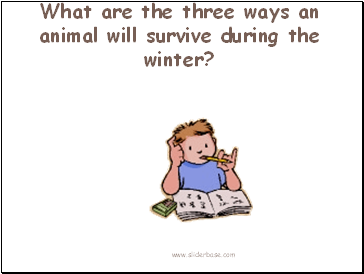 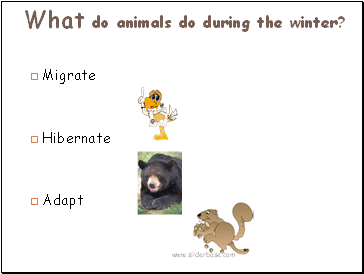 What are the three ways an animal will survive during the winter?